At a hospital morgue in Malaysia’s capital, the tightly guarded corpse of a middle-aged man has become the focus of a dizzying case of international intrigue involving five countries, combative North Korean diplomats and an apparently duped female assassin. Investigators are still trying to piece together details of what appears to be the brazen assassination of Kim Jong-nam, the half-brother of North Korea’s mercurial ruler and an exiled member of the country’s elite. Malaysian police said Saturday that they had arrested a fourth suspect, a 46-year-old North Korean man. Kim, who had been estranged from his younger half sibling for years, was attacked at Kuala Lumpur International Airport on Monday. A rotund man in his mid-40s, he told medical workers at the airport that he had been sprayed in the face with a chemical. He grew dizzy, suffered a seizure and was dead within hours, Malaysian officials said. Without citing much in the way of evidence, observers including South Korea pointed to the obvious culprit in Monday’s attack: Kim’s half-brother, Kim Jong-un, who has executed or purged a slew of high-level officials since taking power in 2011. As the rumor mill swirled, Malaysia arrested four people over the course of the week _ including an Indonesian woman who told investigators she was duped into thinking she was part of a comedy show prank. North Korean officials made no public comments for several days, but they privately demanded custody of Kim’s body and strongly objected to an autopsy. The Malaysians went ahead with the autopsy anyway, saying they were simply following procedure. Malaysia is one of just a handful of countries to have full diplomatic ties with North Korea, with each country having an embassy in the other’s capital. Malaysia has also been a key place for quiet, semi-official “track 2” diplomatic talks between North Korea and the United States. The results of the autopsy have not been released publicly, but a Malaysian official with knowledge of the investigation said the results were inconclusive and that there was a second autopsy Friday night. He asked that his name not be used because he was not authorized to speak to the media. Malaysian police official Abdul Samah Mat, however, denied that the second autopsy had taken place. Less than a week after Kim’s death, the case had already reached well beyond Malaysia to North Korea, South Korea and Indonesia, along with Macau, where Kim lived with his family, and Vietnam, which was looking into whether another of the suspects was a citizen. The intrigue over the case raises all sorts of questions about Kim’s mysterious death, but a lack of closure and a lingering sense of the unknown are not unusual when it comes to North Korea. While South Korea has blamed North Korea for a slew of notable assassinations or attempted killings in past decades, the North often denies involvement or simply doesn’t comment. 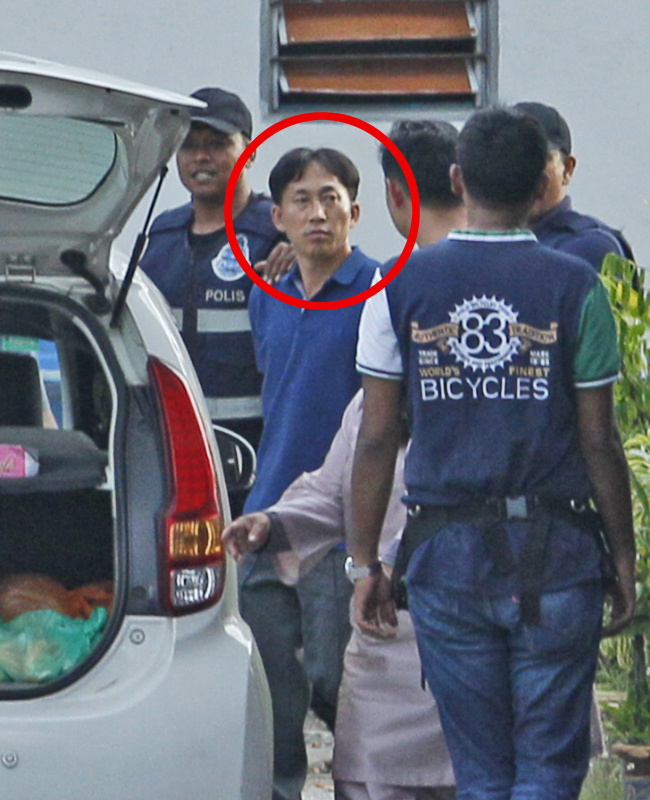 The suspects in Malaysian custody are: Siti Aisyah, the Indonesian woman; another woman, who carried Vietnamese travel documents and was seen on closed circuit television footage in a shirt with “LOL” emblazoned across the front; a man investigators said is Aisyah’s boyfriend; and the North Korean man, who was arrested Friday night. Malaysia is seeking DNA samples from Kim Jong-nam’s immediate family. He is believed to have two sons and a daughter with two women living in Beijing and Macau. Kim reportedly fell out of favor in Pyongyang in 2001, when he was caught trying to enter Japan on a false passport to visit Tokyo Disneyland. He and his younger brother have the same father, the late Kim Jong-il. Even as diplomatic ties between Malaysia and North Korea frayed, Malaysian officials appeared to be carefully following internal protocols for issues like control of the body, analysts said. It’s likely that Malaysia is hoping that following strict procedures would keep them from antagonizing North Korea _ or anyone else in the international community.